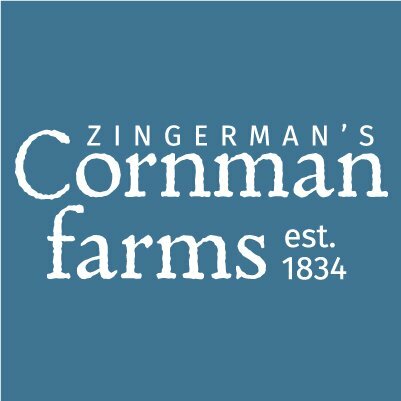 Zingerman’s Cornman Farms is a historic, multi-award winning event space, wedding venue and working farm in Dexter, Michigan. The 42 acre farm and its venues were restored from their 1834 foundations with the most discerning guests in mind. Featuring a beautiful exhibition kitchen, chef’s garden, a classic farmhouse, four-season barn and a stunning tent pavilion, guests can enjoy the beauty of the countryside just minutes from downtown Ann Arbor. The full-service venue is led by Executive Chef and Owner Kieron Hales who hails from England. Kieron began cooking in Michelin star kitchens at the age of 13 and has since lived and cooked in 27 different countries for some of the world’s top restaurants. Working with Lynne and the team at Your People was a really great and amazing experience! Lynne was a joy to work with and the expertise she brought to the table helped strengthen our message! If you’re in the market and are looking to have some messaging and public relations work done, Your People makes a great partner! Marketing wasn’t a term we used or would imagine would benefit our company in any way; we were very wrong. After meeting Lynne and her team at Your People LLC, they really listened to our story and gave us the incredible opportunity and tools to convey our ‘story, which really connected us to our current and future customers. This connection has bought us more repeat business and given our prospective customers a deeper connection to our work and who we are. Ed Brabandt, President, Systematic Manufacturing, Inc. Thanks to Your People’s efforts in helping promote our SCI Expo and also to tell the recovery side of the story about No Fault, we have had major successes in gaining media attention, as well as in our social media efforts! A coworker shared with me this comment from a friend reacting to her Facebook post, “I honestly didn’t pay attention to this no-fault thing until I saw the news bit last night!” We really appreciate having Your People as part of the team, and I truly believe you are considered “our people.” I can’t think of a better decision we have made this summer than connecting with you all. You sure do get results. Your People conducted three productive seminars focusing on our business, brand and messaging. These seminars allowed our team to align our goals, core values and key messaging. YourPeople spent a lot of time getting to know our team and understanding the essence of our business! Working with Lynne from YourPeople has really helped Samaritas take a huge leap in our communications strategy by getting out in front of key issues that affect those we serve. Prior to our engagement, it was rare to see Samaritas’ work in the news. Last year she helped us with over 230 media hits! We value Lynne and her team in helping us fulfill our mission and desire to serve others. I am so lucky to work with the mastermind behind YourPeople LLC, Lynne Golodner. Lynne helped open my heart and my legal practice and now both are full, growing and booming. As my publicist, marketing and PR professional, and business coach, Lynne always helps me move forward in a positive direction. But she is not your usual, every day, “normal” publicist, marketing and PR consultant, and business coach! She’s creative, supportive, thoughtful, driven, productive and efficient; and she always has new ideas. Lynne is constantly improving herself and as her client, I benefit from her continuous growth and development. In addition to experiencing a remarkable increase in my business since working with Lynne, I have seen Lynne’s work with entrepreneurs and businesses in a variety of fields, from medical to non-profits, yoga studios to authors. Lynne is productive and organized and makes an impact where it matters most. If you’re ready to grow, Lynne is the person to help you reach your goals! Your People are my kind of people. While they’re highly relational and likable, they also know how to get to the point and get the work done with excellence. Their results on our most recent project speak for themselves. Don’t miss out on the latest news and events. Sign up for our newsletter today!